Every blogger has a list of apps, programmes and technology they couldn't live without. It's a jungle trying to find what works best for you & what you enjoy using. 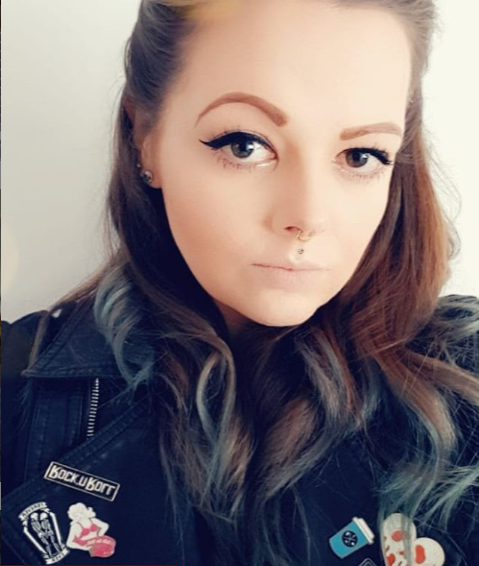 With various trial and error I've found a few bits and pieces I couldn't blog without and thought I'd share them with you! I use either my Sony Xperia Z3 phone camera or my Sony DSLR camera. I didn't buy my DSLR just due to blogging, I had it about a year before I started but it does come in handy when I'm out and about! While you don't really need a DSLR you do get amazing quality images if used correctly. I am in need of a new one though, mines so big and old! I don't have a desk top computer, I prefer being able to take my computer where ever I fancy so I opted for the HP Pavilion Laptop. Unfortunately it does have Windows 8 which is a hideous system but I'm planning on downloading Windows 10 soon! I also have an external hard drive so I don't use all my memory up on my blog pics. I have a lamp that gives me full day time light quality and I'm currently looking into buying some soft boxes. With Winter on it's way natural light is going to be harder to come by and only available when I'm at work! I don't really use many apps for blogging! I know there are hundreds about but honestly I've never really liked any of them! I currently have Hootsuite, Pixlr, Pinterest, Twitter, Facebook, Instagram and Pic Stitch. I prefer to do my photo editing and posting on my laptop as I feel like I have more control than on my mobile screen. Hootsuite - Tweet & Instagram scheduling. It's a great way to post on social media even when your busy! Pixlr - Super easy to use photo editor. Has lots of awesome effects, text and stickers too! Pinterest - Because I love Pinterest! Twitter - What blogger would be complete without a Twitter account!? Facebook - Again purely because we're all nosey and love looking into other peoples lives. Instagram - I bloody love Instagram. 'Nuff said. Pic Stitch - Super easy way to make picture collages. I did purchase the photo editing app Afterlight after reading so many bloggers raving about it but to be honest, was utterly disappointed. I could never get the finish I was looking for as I don't do an awful lot to my photos, I simply crop and lighten/contrast. You can spend an utter fortune on photo editors, we all know how expensive Photoshop can be! I do have Photoshop but I rarely use it! My all time faves are Pixlr and Canva! They are perfect for the minimum work I do to my photos, easy to access and free to use. I own about 1000 note books and pads but I've recently invested in a Diary. I love being able to write down any ideas I have for blog posts there and then! My diary allows me to know what posts I've got going out, how long ahead I've scheduled stuff for and when deadlines for articles are. It's a staple I simply couldn't be without. Facebook groups are amazing for bloggers. Comment swaps, retweets, follows and opportunities are all to be found! You need to get involved with Facebook groups, they are a fantastic way to help each other out, make friends and improve your stats! I post daily onto various groups and I love joining in on comment swaps and follows. It's a great way to find new blogs you want to read too! If I'm blogging I usually found curled up in a ball with my laptop and a hot drink. I don't know why but I just don't think I could blog without a good brew! 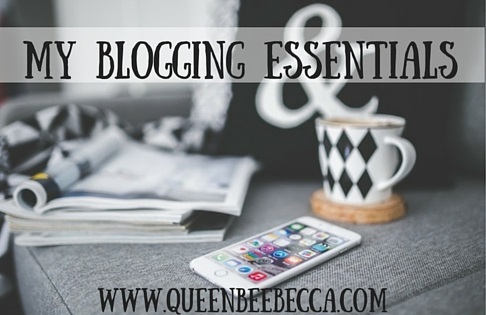 Do you have any essentials you can't blog without? I'd love to hear! Could you recommend good lighting kits I will need that as Winter is coming up! Great post. My laptop and camera are my necessities for blogging.